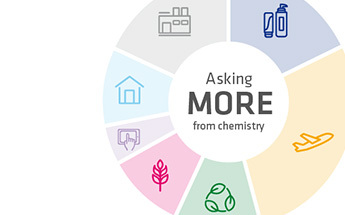 In a context of global economic and political uncertainty, evolving power balances, changing growth dynamics, the shortening of market cycles, raw material and energy volatility, and rapid technological evolution, Solvay believes that effective monitoring and management of risks is key to achieving its strategic objectives. The risk assessment process – endorsed by the Board – helps the Group to reach its business objectives while pursuing its ambitious extra-financial objectives and remaining in compliance with laws, regulations, and the Solvay Code of Conduct. 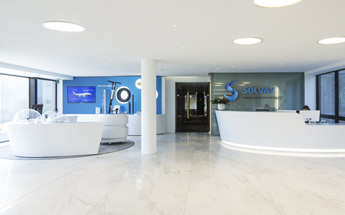 Solvay’s business is complex, entrepreneurial, and international. Our operations are subject to a number of significant risks. Consequently, we have designed a dynamic process where key players assess the risks in their areas of responsibility or expertise. Critical risks for the Group are closely monitored by the Group Risk Committee, with members of the Executive Committee appointed as Risk Sponsors, to ensure that these risks are adequately addressed. Particular attention is paid to cross-checking the analysis with the work done by the Sustainable Development Function. Solvay’s systematic risk management approach, integrated with strategy, business decisions, and operations, ensures that the Group’s leaders identify, assess, and manage all potentially significant risks. Risk assessment is related to the creation of short, medium, and long-term value, and is always considered in the context of sustainability. 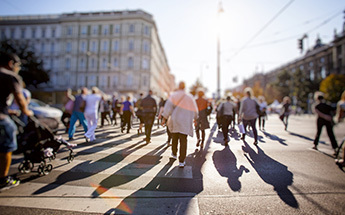 Two of the four main types of impacts that are used to assess risks reflect our growing sensitivity to extra-financial issues, namely impact on people and on the environment. The other two – economic impact and impact on reputation – relate directly to the Group’s operational and financial performance. In line with Solvay’s strategic objectives, risks are then categorized as follows: “main risks” (rated as the most critical), “emerging risks” and “other risks”. Emerging risk: newly developing or changing risks that may have on the long-term, a significant impact which will need to be assessed in the future. Adequate risk management is a key success factor for us, to mitigate risks associated with the solutions we provide. Solvay’s Enterprise Risk Management methodology includes improvements aiming to allow better prioritization of relevant risks and a more focused risk response by each GBU and Function, as well as at Group level. A dedicated dashboard is updated twice a year both for progress on mitigating actions and for new developments in the risk environment. All risks and opportunities – involving financial and extra-financial criteria – are fully integrated into both day-to-day and strategic decision-taking. All risks are defined and classified according to a highly-decentralized process that relies on significant contributions both from the GBUs and the Functions, with the support of the Corporate Risk Department. This means that detailed knowledge is available when assessing risk, and operational managers can react rapidly in the event of changing circumstances. Executive Committee, GBU Presidents, Function General Managers, Zone Presidents and Solvay Business Services General Manager. Executive Committee and General Managers of the Human Resources, Industrial, Legal, and Sustainable Development Functions. An appropriate risk assessment methodology is applied to significant projects, whether acquisitions, major capital investments, or transversal projects.